‘Come back and tell us the stories of individual students.’ This was the response to one of our first talks about Inspired to Teach. At that time, the second book was only a glimmer in our minds, but that comment helped to focus our thoughts and fire our enthusiasm! The result is We will Teach!, which explores the link between the College and the Channel Islands. 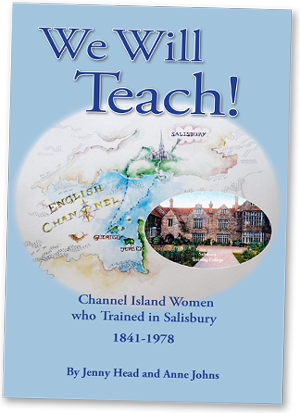 What was it that drew hundreds of young women to cross the sea and train as teachers in Salisbury? Extensive research has helped us to find the answers. 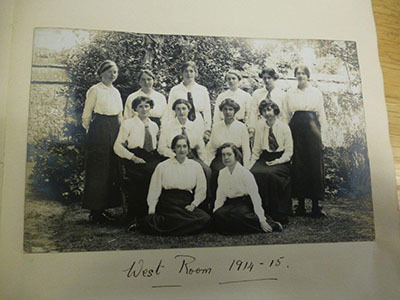 From the first student, who arrived by packet steamer from Guernsey in 1843, to the last ones in the 1970s, we tell some of their stories, including the dark days when the islands were occupied during the Second World War. Fully illustrated, these accounts are set in the islands and in Salisbury. 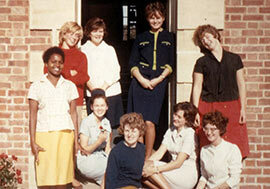 They are a fascinating insight into how life changed as communications improved and education advanced. Once hooked, you will want to read to the end! 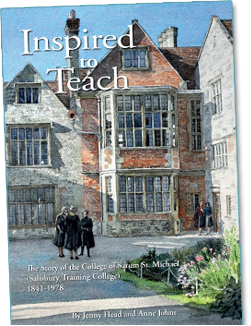 "Hugely informative and fascinating, this is a book to treasure"
The College of Sarum St. Michael (formerly Salisbury Diocesan Teacher Training College) closed in 1978. Every year around 400 former students from all over the country return for a reunion to celebrate their college years, their training and the deep friendships that many made. Why do they come? What made their student days so special? 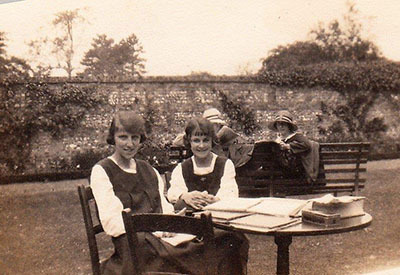 It was at an annual re-union that the request was made for a book about the college to be written. There is such a fascinating and interesting story to tell! From 1841, until the closure, thousands of students were trained in this special place 'under the Cathedral spire'. 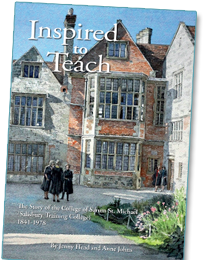 Inspired to Teach is a perfect 'dipping in' coffee table book to all those interested in education and social and local history. It will be of enormous interest to past students, staff and their families. every picture tells a story"
The book was launched on 9th April 2015, and you can order your copy today.